It's safe to say we had an absolutely awesome trip...lots of laughing, too much shopping, a cocktail with every meal, copious amounts of coffee and so much food I'm surprised we didn't have to be rolled onto the plane! As you can imagine food was one of the main priorities of our trip...we made sure we had reservations at all the hot restaurants and insisted on cocktails, starters, mains, wine and pudding everywhere we went - even if that meant popping the top button on our jeans! Clearly we were off the clean and lean diet for the week (James Duigan would have had a heart attack at what we got up to!!) so I embarked upon the only appropriate mission in this situation...the hunt for New York's best burger of course!! Now in my opinion, London does burgers in abundance but they're generally pretty standard. We have our decent lower end options with Honest Burger, Patty and Bun and Five Guys, however they're more on the go or quick pit stops. You can then go up one notch to Burger and Lobster - it's good and I'll always eat every scrap but it's not 'WOW give me another one now'! However New York is another story all together...the birth place of the burger - you'll find it very hard to avoid gobbling one up everywhere you go! We're not talking cheap soggy buns, thin greying meat and scraps of lettuce...oh no, more like an oozing mess of cheese, sauce, thick pink middled patties with a fresh, crunchy lettuce and pickle layer! Delish! Obviously everyone boasts the best burger but I thought I'd find out for myself...it's a hard life hey?! 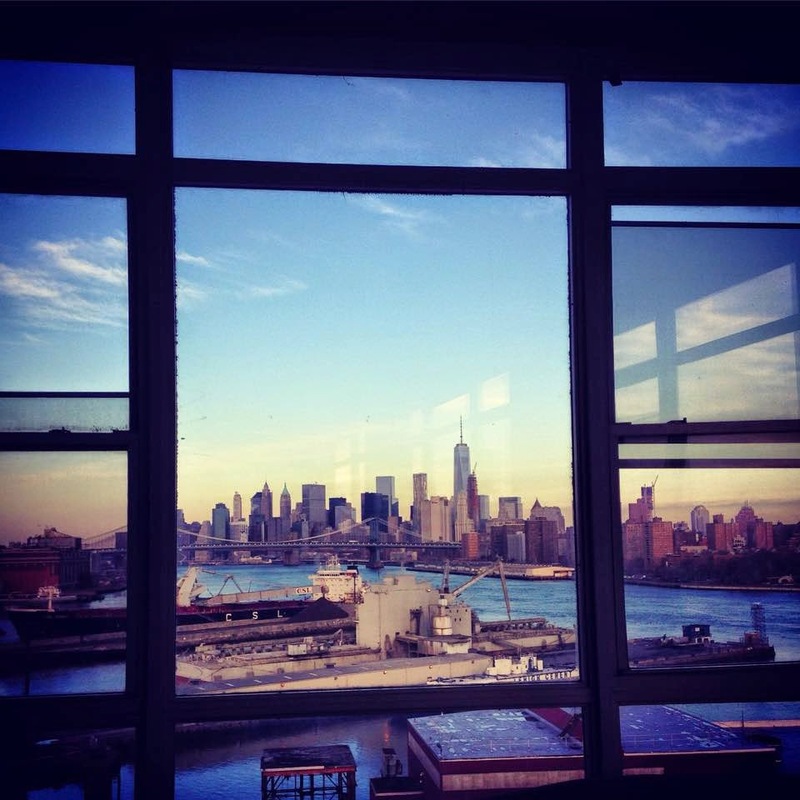 Middle Mouse has already raved about this one last week in her Williamsburg Wonderland post, however I couldn't let another opportunity go by without a mention! It seriously is too good for you guys to miss out on! 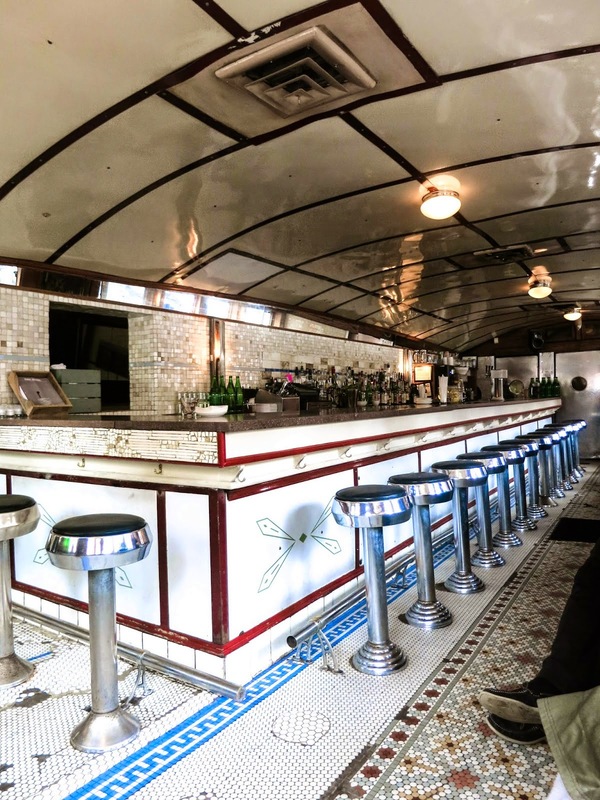 Previously a Kullman Diner dating back to the 1920's, this place breathes authenticity from every angle. From it's heavy front door, shabby chic exterior, bottle green awning and booth seating...you'll feel cosy and welcome as soon as you walk in. Growing jet lag weary, with aching feet and a grumbling tummy after a day wandering in Williamsburg, we all opted for the burger. Simplicity is the key at The Diner - a fluffy bun, juicy patty cooked rare, a single leaf of lettuce, a slice of white cheddar and all topped of with sliced pickled onions. (Ketchup and mayo on the side). They've got the flavours and textures balanced perfectly...a hint of smoke from the grilled meat, a crunch from the onions with the light bun soaking up all the amazing meat juices and melted cheese! 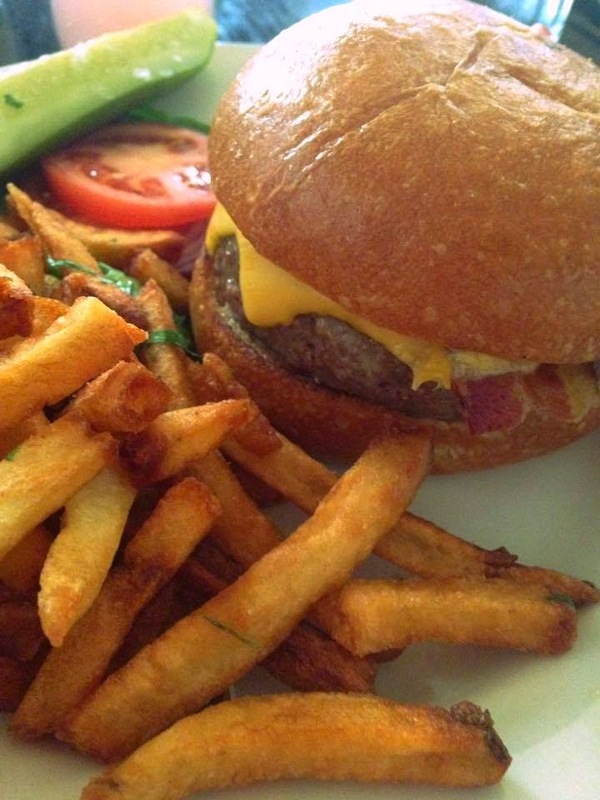 A slightly out of focus burger but perfect to showcase the scrumpcious crispy, salty skin on chips - AMAZING! A strong 8.5 / 10 for the Diner - simple and pretty perfect, the only welcome addition could have been a sauce to give it 'The Diner' edge! A teeny tiny neighbourhood restaurant located on Bedford Street - just keep your eyes peeled for a deep red painted exterior and vibrant tulips and you'll know you've found this gem. With only ten tables you'll need to book in advance but it's well worth the forward planning. Firstly the staff are geuninely friendly and have a real passion for the food - our waitor gave us his top picks taking time to explain each dish; secondly they shake a mean cocktail - we especially loved the pink prosecco lemonade (prosecco and pink grapefruit lemonade) and lastly the food is awesome...make sure you order a portion of the gravy meatball sliders (a Little Owl original) they are to die for! However let's get down to business...the burger. We're talking a short rib and brisket 8 ounce patty, maple cured bacon, Gus's pickle and a generous slab of cheddar all encased within a chewy, airy, shiny bun. An absolute dream on a plate...I asked for it rare and it came perfectly pink, the bacon adds a smokey crispy texture, whilst the pickle provides just the right amount of sour to compliment the deep meatiness from the patty. 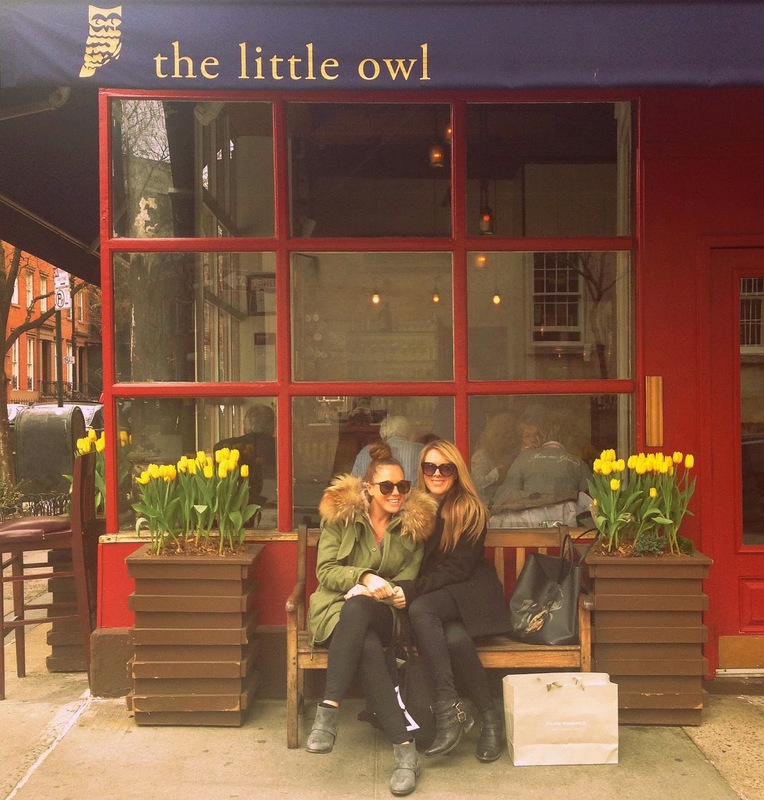 A strong 9/10 for The Little Owl...take me back NOW! 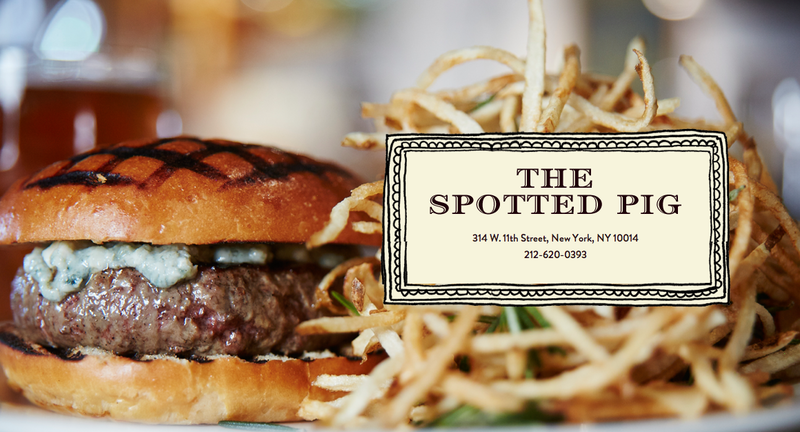 Burger fan or not you MUST make time for the Spotted Pig. Opening it's doors back in 2004, this gastropub has more than managed to maintain the buzz surrounding its opening and still pulls in a constant crowd. Be prepared to wait numerous hours for a piece of their culinary genius! If you haven't heard of this little beauty then basically you're in for a massive treat! The perfect combination of a laid back pub with a Michelin star menu. 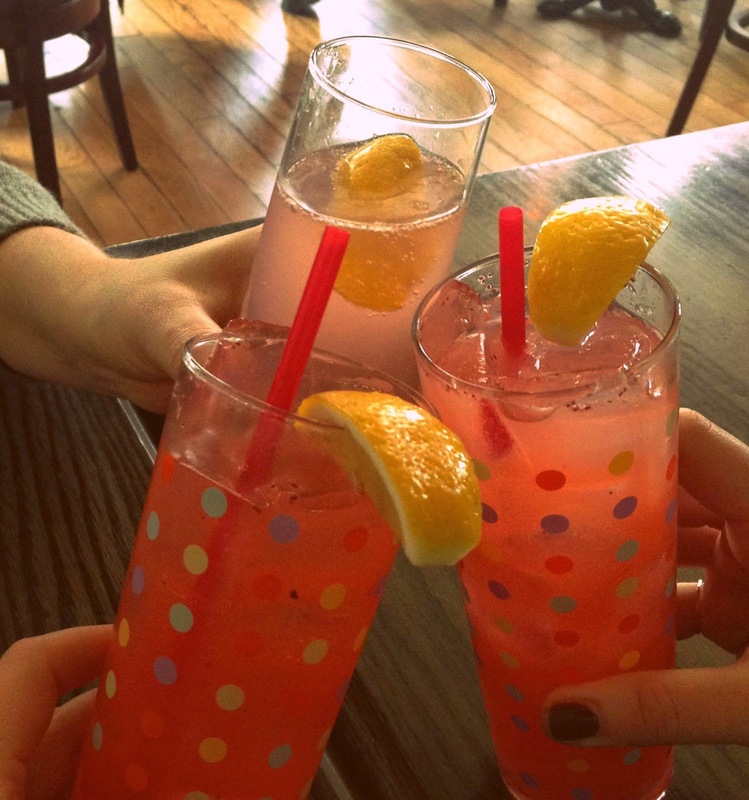 You'll find The Spotted Pig located on a small street a few blocks from The Little Owl. Housed within a red brick and flower covered building, it appears unassuming completely masking the amazing gastro-talents within. You can't book so either head down slightly earlier or be prepared to while away an hour or so drinking at one of the two bars. However the latter isn't a chore as this place is always bursting with plenty of people watching (a famous face or two isn't a rare occurrence) and the decor is comfy and cosy. We were seated upstairs amongst a maze of cosy candlelit tables with pigs popping up in every nook and cranny! It's bustling, busy and the tables are quite close together - for us this just added to the infectious atmosphere, however don't go expecting serenity and privacy. Unfortunately we were so taken with everything surrounding us that we totally forgot to snap some pictures for you - very unlike us I know, but I guess you'll just have to go see for yourself this way! We started off with a mind blowing bowl of Sheeps Milk Ricotto Gnudi with Brown Butter and Sage to share. I cannot describe how delicious this was - pillow soft gnocci-like dumplings served with ricotta and lashings of melted brown butter. If we could have got away with it, all three of us would have licked that bowl to get every single scrap! Finally...THE BURGER. A thick juicy patty made from brisket, rump and chuck, grilled to perfection with a deep smokey flavour, topped with a generous creamy salty layer of Roquefort cheese and enveloped in a house made griddled bun. Once again I'm not quite sure how they make a simple burger taste so darn good, but they do it so well! The icing on the burger...the heap of fries that arrives alongside - shoestring style and cooked in lashings of garlic and rosemary. A well deserved winner and one that should feature on everyone's NYC agenda!